We love WAH Nails, their designs range from cute and pretty, to bright and fun, with everything in between! My first experience with nail art was at WAH's salon in Topshop Oxford Circus and I've been a fan ever since. I spotted this design on their Instagram a little while ago and just found it in my screenshots folder (it's like a treasure trove in there!) It's simplicity appealed to me as I love a quick but impressive nail design. I wanted to try out the newest member of my Barry M collection Pink Flamingo so used this as the base colour. I prefer white on pink as I find it a bit softer than black, and so out came the trusty Barry M white nail pen. 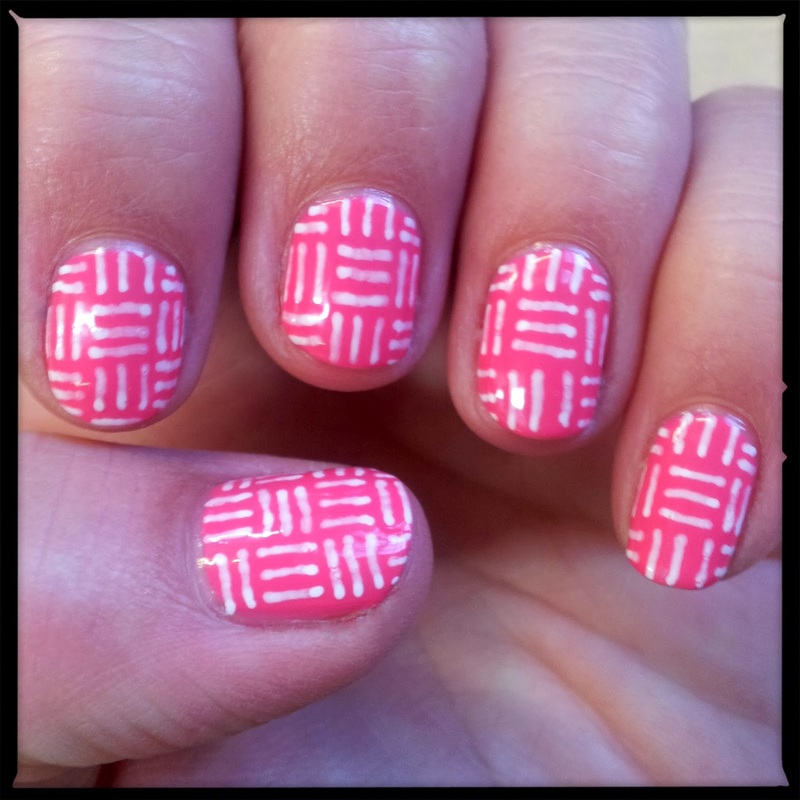 This was so easy to do and I love that it's such a uniform pattern. So often I'm tempted to try out mixtures of designs and forget how much I like the look of the same design across all the nails.